In this book the author takes a fresh look at horror film series as series and presents an understanding of how the genre thrived in this format for a large portion of its history. It sheds light on older films such as the Universal and the Hammer series films on Dracula, Frankenstein and the Mummy as well as putting more recent series into perspective, such as The Nightmare on Elm Street films. 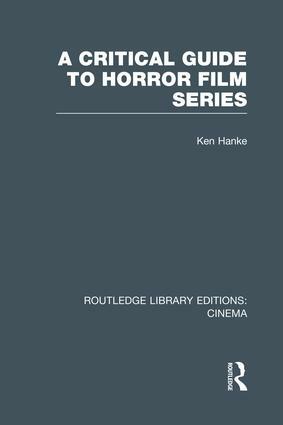 A well rounded review of these films and investigation into their success as a format, this useful volume, originally published in 1991, offers an attempt to understand the marriage of horror and the series film, with its pluses as well as minuses.